The internet is a problem. We’re reminded of this fact every day, and every hour it seems there’s a new reason to lower our expectations. Today it’s a whole bunch of drama between Overwatch players. The short version? An adult gets access to a minor’s allegedly boosted account and posts a whole bunch of game throwing and sext reading to YouTube. These are the best games on PC. The adult in question is YouTuber Silent OW, a self-described troll whose channel is largely filled with seemingly random accusations of purchased accounts and boosting. One regular target is Mercy main Ariana, who is the subject of at least five separate videos. 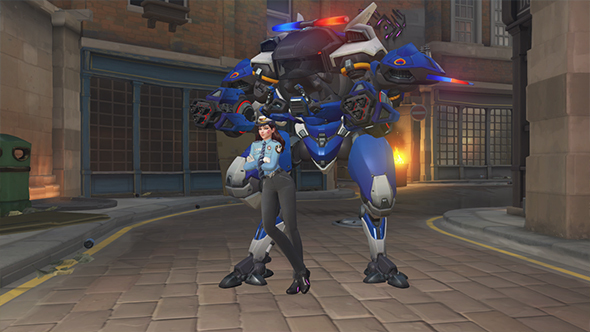 In the creatively titled “HACKING ARIANA THE BOOSTED MERCY MAINS OVERWATCH ACCOUNT,” Silent gets into Ariana’s account – allegedly one of her many boosted and shared accounts – and shows off ten minutes of hopping into games and throwing them. He also jumps into her DM history, and publically reads several messages of a sexual nature. Ariana is 14. She apparently gave away her login info, but that does nothing to justify a public doxxing.